It is fairly common for franchisees and franchisors to be sued together for an injury that occurred at a franchised location. Likewise, more recent lawsuits have extended to employment-related claims alleging that the franchisor and franchisee are “joint employers” and, therefore, jointly liable for any alleged misconduct of employees at the franchised location. In the legal world, claims like this against the franchisor are generally referred to as “vicarious liability” claims. And, while the common goal is to defeat lawsuits like these, there is an added consideration when there is a franchise agreement involved. Indeed, franchisors carefully construct franchise agreements and impose certain operational requirements on their franchisees to highlight a clear distinction of the legal obligations between it, as the franchisor, and its franchisees. In fact, nearly every franchise agreement in the United States contains some variation of an indemnification provision, which requires the franchisee to defend, hold harmless and indemnify the franchisor from claims of third parties for any actions or omissions relating to the franchisee’s ownership and operation of its business. The purpose of the indemnification obligation is for the franchisor to ensure it is made whole in the event that it is sued for claims based solely on account of being the franchisor. The financial impact of an indemnification provision can be substantial even if you win or settle the case because the franchisee’s obligation includes reimbursing the franchisor for all losses, damages, attorneys’ fees and other costs incurred by the franchisor in connection with the lawsuit. Indemnification provisions are common in the franchise industry and—quite frankly—they are not going away. Franchisees need to consider the magnitude of these provisions when operating their businesses and certainly if they find themselves in a lawsuit alongside their franchisor. 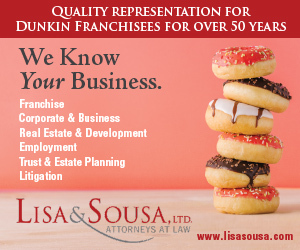 When a person visits a Dunkin’ Donuts store, he/she may recognize on some level that the store is a franchised business owned and operated by someone separate and apart from Dunkin’ Donuts (i.e., the franchisor). 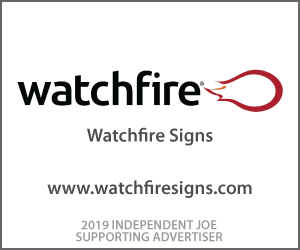 But while the customer may be aware that the store is owned by a franchisee, and not Dunkin’ Brands, most are unaware of the identity of the person who actually owns and operates the store. That means there often is no perceived distinction between the individual store operator and the franchisor, primarily due to the shared name and concurrent use of trademarks and trade dress by the parties. This fundamental misunderstanding of how a franchise relationship works creates a multitude of issues for the legal system. Any franchisee should not only be familiar with the provisions in his/her agreement which relate to these types of claims and carry the appropriate insurance, but also be aware of how these provisions may affect the relationship with their franchisor. We are seeing how recent litigation matters filed jointly against franchisors and franchisees in the U.S. have prompted franchisors to make changes to their franchise agreements, tightening the protections they have in place against claims for vicarious liability, and leaving franchisees exposed. This is especially so in situations where franchisors and franchisees have been sued for perceived misconduct relating to employment practices. Generally speaking, franchisors do not maintain day-to-day control over their franchisees’ employees, nor do franchisees want that. As a result of the heightened scrutiny of the franchise relationship by courts, which are more frequently reviewing claims against franchisors and franchisees jointly, franchisors in most cases are actually working towards an even more defined separation between themselves and their franchisees, not just by making changes to their franchise agreements, but also through adjustments (and, often, reductions) in the types of training and oversight they generally offer to franchisees. In short, vicarious liability claims have always existed—however, recent law has demanded that franchisors take a closer look at their business models. As a result of this internal analysis, franchisors will make decisions that will force their franchisees to change how they plan for and run their own businesses. Best practice is to not only know what your franchise agreement and insurance policies say, but to keep the lines of communication open with your franchisor and to maintain comprehensive records of all such communications—especially if they involve the franchisor’s failure to comply with any of its obligations under the franchise agreement. In the event that a joint lawsuit is asserted, knowing what is in your arsenal and being familiar with your options and the various obstacles will be key to putting you in the strongest possible position for success. Justin M. Klein is a founding partner of Marks & Klein LLP, a law firm with offices in New Jersey, New York City, Chicago and Boca Raton. Allison S. Becht is a corporate attorney whose practice concentrates on corporate and franchise law.